I’ve used this before, but in original, and didn’t really see the fuss over this as it didn’t do what it was meant to do. I have purchased the travel sized whilst I was in London since I did forget a few things as usual. It turns out that I have been using it wrong previously! Now I can see why this is UK’s number 1 dry shampoo. I love this product! I’ve used this 2 days in a row and this has soaked up any excess oils I have leaving me with fresh hair all day, a good amount of volume and a nice, light, floral scent. However due to my hair being fine and thin, the volume didn’t last long unfortunately. Lasted about an hour or two then it became flat but a little teasing and hairspray did help loads. I had sprayed a good amount and it did coat my hair white, looking like I had aged quite a bit. However, after it being rubbed in and brushed out properly, the white had disappeared. This is the only thing you have to be aware of. Spray too much and it will be hard to brush out fully. I recommend this 100%, especially if you’re lazy to wash your hair or are in need of a quick fix. 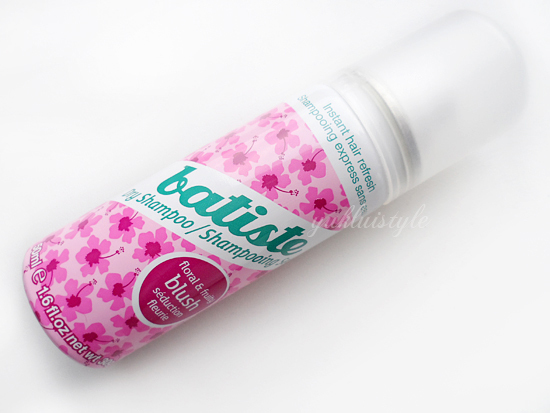 Have you used any Batiste products? Sometimes I use this on my fringe…it's really good isn;t for absorbing etc etc! It's my most favorite. I could go for days without washing my hair and still smell nice and look great. I bought this from Taiwan too, looks like a nice product to use, gonna try it out soon! 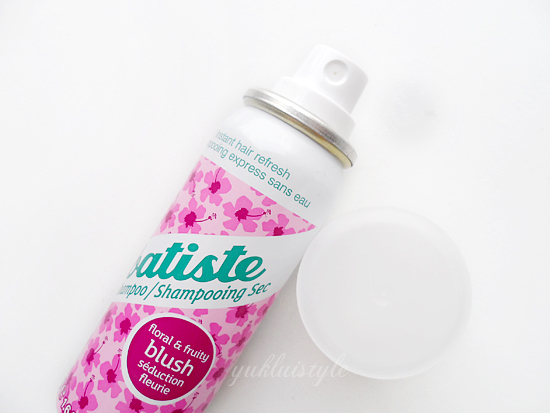 I recently tried a different dry shampoo when I had flu and was completely taken with it. It does really work, very clever! Blush is great, I love the smell of it and it doesn't make you look like you have grey roots which is a major plus. I love this, such a great price and it actually does what it says! Literally couldn't of lived without it back when I had red hair and didn't like to wash my hair much. 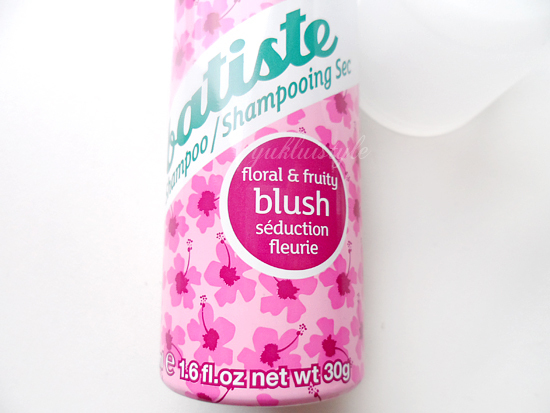 I love this dry shampoo and use it religiously! This actually reminded me that I need to stock up on more now, haha. i really love finding baptiste at Winners. it's always such a good price there. i've only tried the original formula and i thought it worked quite well.